How did you get a job as a Cast Member in Disney World? I obtained my position at Walt Disney World through the international college program (https://jobs.disneycareers.com/international-programs. Disney interviews and hires Australians and New Zealanders through TAFE and universities throughout both countries. It is a long process, mainly because of the J-1 visas and flights required. I had to fly to Melbourne and Sydney to arrange my interview and visa respectively. Disney arranges housing and work placement (5-10 months) in order to gain experience working for a globally recognized company and interact with people from all over the world. Which Disney Parks have you worked at? During my time as a Cast Member I was fortunate to work primarily as a Slide Operator at Blizzard Beach and I was also placed at the Festival Food Kiosks at EPCOT during winter. What perks are there working at Disneyland? I would have to say the biggest perk aside from working in that environment is that you are given admission into the parks during your time off. There are some staff discounts and for college program cast members such as myself there were special events hosted by the company housing where we could socialize and even meet characters that aren’t often seen in the parks anymore. What rides did you work on? As a Slide Operator at Blizzard Beach I worked all of the rides at that park which was incredibly fortunate. I had friends that worked other bigger attractions at the theme parks but in those instances they only worked in that one location and didn’t get much range on where they could work. My personal favourite ride at Blizzard was Summit Plummet, the 120 ft slide designed to look like a ski jump, mainly because I had a lot of fun interacting with the guests and trying to convince them they could do it. 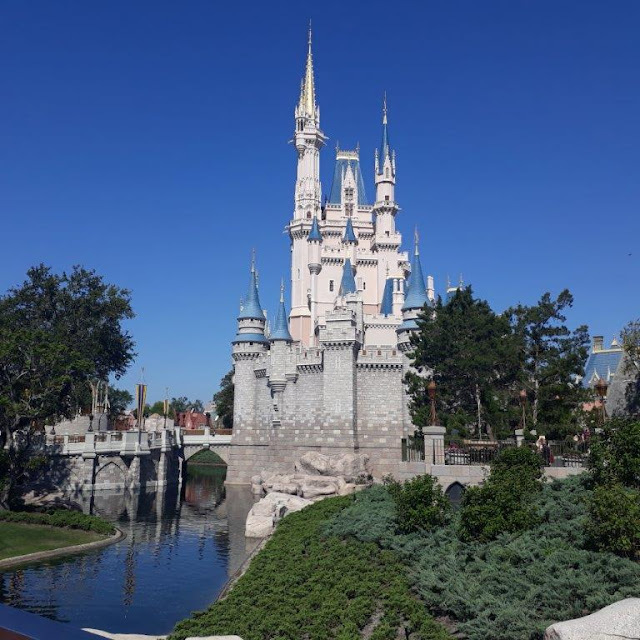 What is the best Park in Disney World to visit and why? Each of the Parks has its own value and its own charm. Magic Kingdom is obviously the most iconic out of all of them and features the main attractions that most guests associate with Disney Parks. EPCOT focuses on Science and Multiculturalism which Walt Disney himself designed in his original plan for the park. Hollywood Studios symbolizes the dawn and progress of the movie industry and Animal Kingdom focuses on land conservation and animal care. Personally I really enjoy Animal Kingdom as the park really focuses on immersion and feeling like you could really be somewhere in Africa or Asia. I was fortunate to be there during the opening of Pandora and that alone would be good enough reason to check it out (hopefully when the long queue times have reduced). Where is the best bargain meal deal in Disney World? From suggestions that my other fellow cast members told me, one of the best for value is The Hoop-Dee-Doo Musical Revue at the Fort Wilderness Lodge Resort. Mainly because the price covers not only the food but also drinks and a show as part of an overall package. A good offer to take, however, is the Disney Dining Plan which seems to be a good value for money. Depending on the ones you pick they have a set allowance of meals (quick service and/or sit down) and snacks that are accumulated for the duration of you stay. However these are only available if you are booking a vacation package with Disney and cannot be arranged as just the meal plan alone. If given the opportunity to only experience a couple of rides again (since I was able to go alot in my spare time), I would have to say for Magic Kingdom it would be Space Mountain and Splash Mountain. At Hollywood Studio’s Star Tours since the flight experience constantly changes when you go back on, Tower of Terror and Rock'n'Roller Coaster. At Animal Kingdom, Expedition Everest and Kilimanjaro Safaris are great to ride multiple times. Also, the new ride, Flight of Passage at Pandora has great re-ride value too. The latter, due to its recent release, has long queues currently but the way it has been designed is well worth the wait even if it is only once. Navi River journey, also at Pandora, is stunning within its attraction featuring a river tour of the planet all lit up in bio-luminescence but Flight of Passage out of the two its much more worth the time you wait for the attraction in my opinion. What are your favourite Magic Kingdom rides? My favourite Magic Kingdom ride has always been Big Thunder Mountain due to my own childhood memories. However, alongside this is also Splash and Space Mountain, Pirates of the Caribbean, Haunted Mansion and Mad Tea Party. Did you visit Disney Springs? Any tips for good places to go/eat/do? I visited Disney Springs many times whilst I was there also and I personally liked to go to Hangar Bar on occasion. Normally myself and a few fellow Cast Members would typically go to the bowling alley Splitsville or Amc Theatres to check out a movie. Great places for souvineer's at Disney Springs include the World of Disney Store, Art of Disney shop and also the Marvel and the Star Wars shops. There is also a large range of clothing shops as well (with and without Disney apparel) including companies such as Zara, Uniqlo, Sephora etc. for those not looking to fill up on just Disney merchandise. As for eating, Bongos (an upmarket Cuban themed restaurant) is good value for the performances and the taste of Hispanic foods. Rainforest Cafe and T-Rex Cafe are more targeted to younger families with its animatronic animals and gift shops for the younger kids. Paddlefish and Boathouse restaurants are also upmarket and focus more on Seafood. However there is a huge variety of different bars and restaurants which are too many to name here that can satisfy which ever choice of cuisine guests are looking for. Personally I would highly recommend Disney Springs as an area to unwind after an exhausting crowded day at the parks overall. There is always things going on from pop up bars to night entertainment including bands and just solo artists playing music along the lakeside. Next week, in Part 2 of L.C's interview, he will discuss EPCOT, Universal Studios and Blizzard Beach Water park in more detail. He also attended the recent D23 Expo in Anaheim and shares with us new Star Wars Land news and pictures.